ARLINGTON, Va. and DALLAS, March 18, 2019 /PRNewswire/ -- To improve gaps in type 2 diabetes care within health care systems and to reduce cardiovascular deaths, heart attacks and strokes for people living with type 2 diabetes, the American Diabetes Association (ADA) and the American Heart Association (AHA) announce the inclusion of their respective, industry-recognized quality improvement programs, Diabetes INSIDE® and Get With The Guidelines®, as part of the Know Diabetes by Heart™ initiative. Additionally, AstraZeneca joins founding sponsors Boehringer Ingelheim and Eli Lilly and Company Diabetes Alliance and Novo Nordisk, and national sponsor Sanofi as a new national sponsor. The ADA's Diabetes INSIDE® is the first to launch this month in health care systems in New Jersey and Philadelphia to strive to meet the Know Diabetes by Heart™ objectives through its quality improvement framework. Diabetes INSIDE® will expand nationally under the Know Diabetes by Heart™ initiative in the future. Through the AHA's Get With The Guidelines® program, a national honor roll will be launched for hospitals to implement evidence-based guidelines for people living with type 2 diabetes and cardiovascular disease. This addition should reduce incidents of cardiovascular deaths, heart attacks and strokes. The AHA plans to announce the new Get With The Guidelines® Honor Roll program later in the spring. "It's imperative we support point-of-care within health care systems under the Know Diabetes by Heart initiative to reduce cardiovascular and stroke events in people living with type 2 diabetes," said William T. Cefalu, MD, chief scientific, medical & mission officer of the American Diabetes Association. "Through Diabetes INSIDE, the ADA has been able to track and benchmark improvements at the point of health care delivery, and we anticipate great results for reducing cardiovascular disease risk for people with diabetes, especially in conjunction with the American Heart Association's Get With The Guidelines Honor Roll." The ADA's Diabetes INSIDE® initiative facilitates continuous quality improvement among health care teams to design, implement and measure sustainable change for diabetes and cardiovascular disease management within their clinical systems. Deidentified personal health information in the electronic medical records of patients with diabetes or at risk of developing cardiovascular disease will be analyzed by the ADA to track improvement and change in long-term health outcomes. Diabetes INSIDE®, as part of Know Diabetes by Heart™, will be formally announced to industry professionals at the Population Health Colloquium on March 18 in Philadelphia by academic partner, Jefferson College of Population Health. Likewise, the AHA's Get With The Guidelines® program for improving in-patient cardiovascular care is expanding the measurement and evaluation tool for people living with type 2 diabetes within the program's existing framework to create an additional focus on this patient population. The goal is to provide new educational tools and resources for people living with type 2 diabetes and to reinforce improvements in care among participating health care systems. The Get With The Guidelines® suite of in-patient quality improvement programs currently covers over 8 million patients nationally and includes an estimated 250,000 patients with diabetes each year. "Effectively managing and reducing the risk of cardiovascular deaths, heart attacks, heart failure and strokes for people living with type 2 diabetes includes evidence-based care within hospital systems nationwide," said Eduardo Sanchez, MD, MPH, FAAFP, chief medical officer for prevention at the American Heart Association. "The AHA's Get With The Guidelines Honor Roll program, in conjunction with the ADA's Diabetes INSIDE, will continue to perpetuate the Know Diabetes by Heart's mission to comprehensively identify and modify cardiovascular risk in people living with type 2 diabetes." Cardiovascular disease remains the leading cause of death and a major cause of heart attacks, strokes and disability for people living with type 2 diabetes, yet only about half know the risk. The AHA and the ADA formed the Know Diabetes by Heart™ initiative in June 2018 to reduce cardiovascular deaths and incidences of heart attacks and strokes in people living with type 2 diabetes. The health care systems in the U.S. represent the first line of defense to reduce cardiovascular events for people living with type 2 diabetes. The Know Diabetes by Heart™ initiative is supported by leading corporations coming together to empower people living with type 2 diabetes to reduce the risk of cardiovascular deaths, heart attacks and strokes. The founding sponsors, the Boehringer Ingelheim and Eli Lilly and Company Diabetes Alliance and Novo Nordisk, and national sponsor Sanofi are now joined by new national sponsor AstraZeneca. "We are passionate about supporting programs like Know Diabetes by Heart that share a similar mission and purpose with us," said Rod Wooten, senior vice president, cardiovascular and metabolic diseases, AstraZeneca. "Those with type 2 diabetes have a two-to-five times greater risk of heart failure along with an increased risk of other cardiovascular complications like heart attack or stroke, so the need to raise awareness about the relationship between diabetes and cardiovascular disease, and empower people living with type 2 diabetes to take action to reduce their risk has never been more important." "It's inspiring to see such momentum in the Know Diabetes by Heart initiative that is attracting interest from other industry partners to join this program," says Chris Sorli, MD, PhD, vice president medical affairs, head of Diabetes US, Sanofi. "Sanofi applauds the ADA and AHA's continued efforts in our joint mission to reduce cardiovascular mortality among people living with type 2 diabetes." 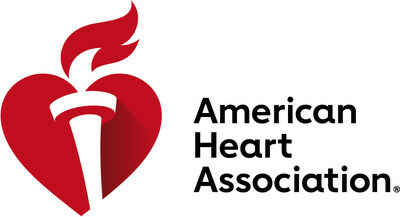 The American Heart Association (AHA) and the American Diabetes Association (ADA) launched a collaborative landmark initiative called Know Diabetes by Heart™ to comprehensively combat the national public health impact of type 2 diabetes and cardiovascular disease. Through Know Diabetes by Heart™, the AHA and the ADA, with founding sponsors the Boehringer Ingelheim and Eli Lilly and Company Diabetes Alliance, and Novo Nordisk, and national sponsors Sanofi and AstraZeneca, are focused on positively empowering people to better manage their risk for cardiovascular disease, heart attacks and strokes and supporting health care providers in educating and treating their patients living with type 2 diabetes to manage cardiovascular risk. Visit KnowDiabetesbyHeart.org for resources.